You see a pick-up truck all over the world, that's because it's the ideal vehicle to carry cargo and still offer car like comfort and performance. Well, India has had a few pick-ups over the years but only domestic manufacturers have offered them while only recently have modern pick-ups been launched. The segment is growing rapidly, Isuzu even predicts that India will be the world's largest LCV market in a decade. 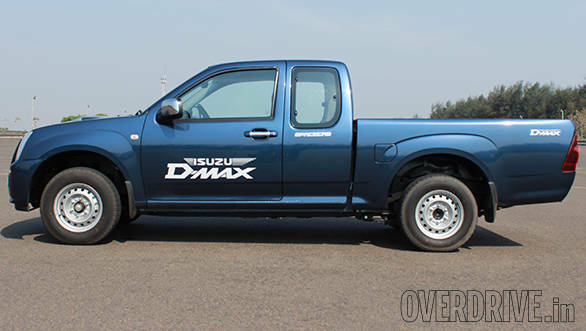 This has led Japanese automaker to introduce its global pick-up, the D-MAX in India. Isuzu did offer the vehicle in select cities last year but are now locally assembling the pick-up and so have officially launched the vehicle. 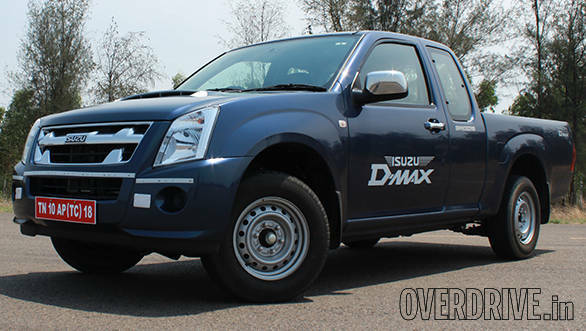 The D-MAX has been available in International markets for some time now and has sold millions of units, is it then the best pick-up in India? We were in Chennai to find out. 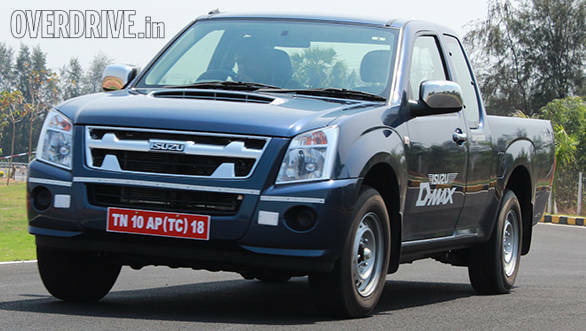 The D-MAX that is available here is basically the first generation model that has been discontinued in most markets but then the vehicle is still a step above competition besides the latest generation model that is currently being sold in international markets would have ended up costing significantly higher in India . 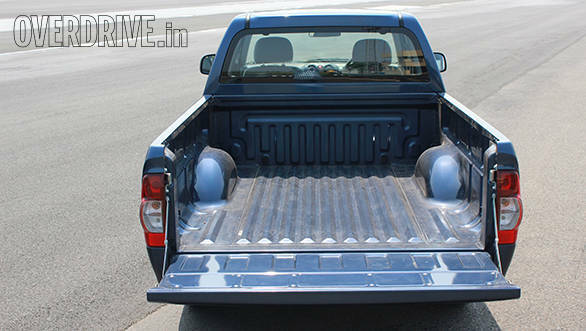 In terms of design, it is a typical pick-up, the front dominated by an enclosed cabin and the rear section, by a long loading bay. We drove both the flat deck and arched deck variants, the former being a pure utility vehicle while the latter is more of a lifestyle owner-driven pick-up, we spent more time with this variant. Viewed head on, both variants look similar but the flat deck variant doesn't feature body coloured bumpers and a chrome grille. Look closely and you will realise that the face is very similar to the more premium Isuzu MU-7, that's because the SUV is in fact based on the D-MAX. 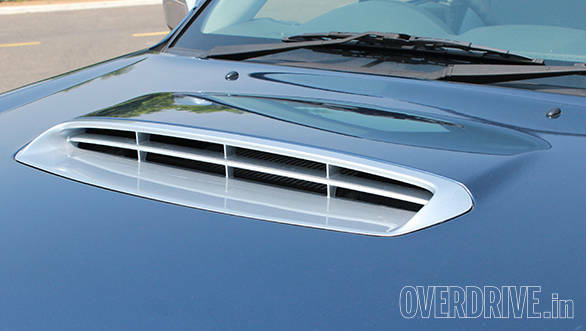 The bonnet even features a working scoop for the intercooler that adds a lot of character. 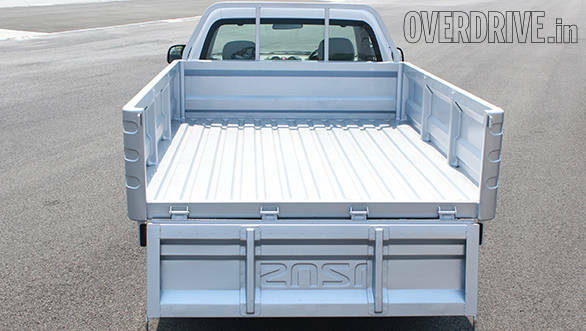 Unlike most pick-ups that offer either a single or double cab, the Isuzu offers a single cab for the flat-deck model while the arched-deck is only available as a space-cab, this clever design is essentially a single cab with additional space behind the seats as well a smaller second window. The loading bay becomes shorter in length but only marginally. 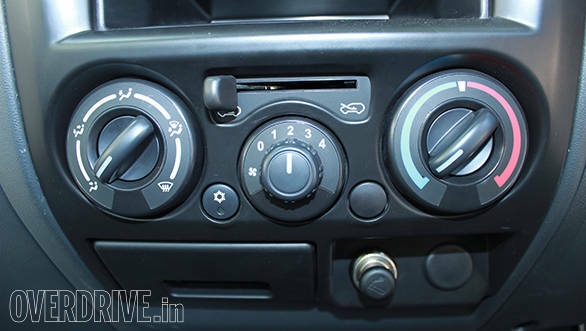 Inside, the all black dashboard is a smart design and is built well. Fit and finish is impressive for a vehicle belonging to this segment. 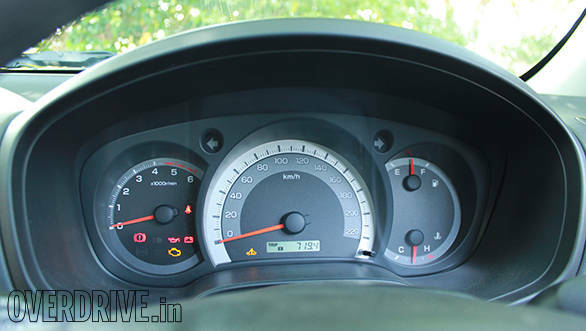 The four-spoke steering offers good grip while the instrument cluster is easy to read and the position of the gear-lever is very car like too. A dead pedal is part of standard equipment too. 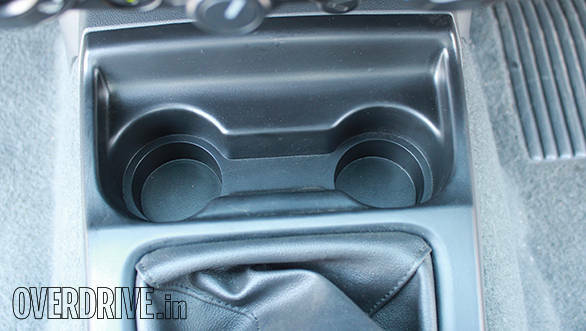 There is ample space up front and the extra space behind the seats makes it ideal to recline or store smaller goods. A cushioned back support is present below the rear window but missing are two jump seats that were present in the D-MAX sold internationally. 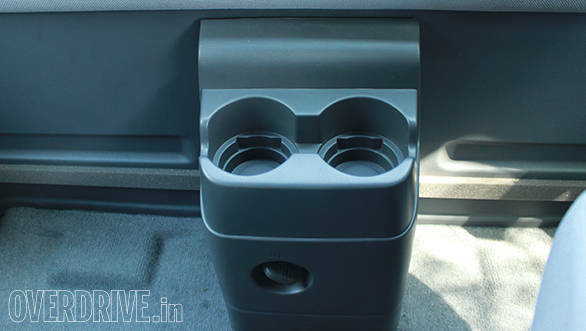 In terms of storage points, there are four cup-holders and four bottle-holders as well. The second window makes the cabin feel airy but doesn't open completely. The heart of the D-MAX is the proven 2.5-litre common-rail motor, the unit dishes out 134PS of max power at 3600rpm and 294Nm of peak torque from 1800rpm to 3200rpm. These numbers make it the most powerful vehicle in its class. All variants including the flat-deck model use the same engine. The rated payload is 1200kg but we couldn't test the pick-up loaded. On the move, the high torque rating makes it effortless to drive, the clutch is light too. 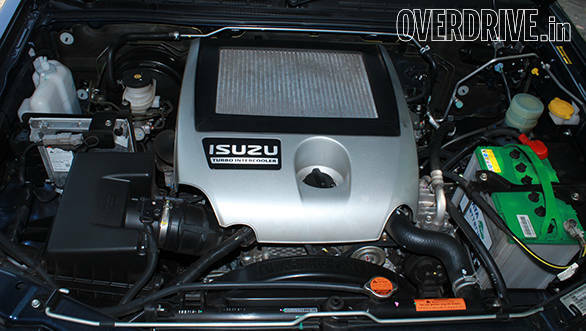 There is noticeable turbo lag until 2000rpm but once past it, the power surge is strong. The gearing is short for the first two gears but is taller for the next gears. The five-speed manual offers clean shifts and it's the best we've come across in this class. Cruising at triple digit speeds is effortless and this is the vehicle's biggest USP. Even in terms of acceleration, the D-MAX despite weighing 1.65 tonnes, sprints to 100kmph in less than 12 seconds making it quicker than a few passenger cars. We couldn't test top speed but did see the speedo go past an impressive 175kmph. In terms of ride and handling, without payload, the stiff rear leaf spring makes it very bumpy especially over broken or undulated surfaces, the suspension is setup for driving with payload. Over smooth roads, however, ride improves significantly. Body roll is controlled even at higher cornering speeds while straight line stability is impressive. Since peak torque is high and power is put down through the rear wheels, the D-MAX especially with an empty loading bay can over-steer without warning. Overall, the D-MAX is a definite step-up in every aspect from the current crop of pick-ups available in the country today. What makes it all the more tempting is the price, Isuzu have priced the D-MAX very competitively, the introductory starting price of Rs 5.99 lakh for the flat-deck variant which undercuts competition while the arched-deck model is priced at Rs 7.09 lakh (all prices ex-Mumbai) and even features power windows and air conditioning. The D-MAX however can only be registered as a commercial vehicle, this means one will require a commercial-vehicle driver licence to drive one. Isuzu is currently only present in very few cities in South India and has just started operations in Mumbai and Delhi, the network is expected to only grow and spread across the nation. By 2016, the Japanese manufacturer will even start producing vehicles from its own plant in Andhra Pradesh.